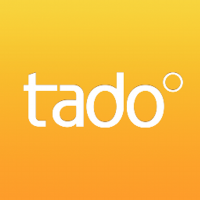 I would like to use tado in my main house and in my vacation home. Currently this is only possible by using one account through the app and the other account using the web-app. I would like to have both available in the same account. I like this idea, then I wouldn't need to switch back and forth when I visit my inlaws (they have tado too). 100% agree. I think I’m in trouble I bought one for my house and another for another premises,what can I do? Check the following link and you will see this is an upcoming feature. We want to use this thread to gather some feedback as to what features this user management should have, as well as gauge demand, so any ideas are really appreciated. I am currently debating whether to buy a tado for my vacation home. I am a happy tado user since 2016. I own a Smart Thermostat v3 and 5 radiator thermostats which manage the heating of my home. I really like the system and therefor I am thinking of also installing it at my second home (starting with just a smart thermostat, but also might add 6-7 smart radiator thermostats as well). However, the fact that tado doesn't support multi-home is holding me back. I could target a specific device (e.g. iPad) or use just the web-interface, but I prefer to also enable geo-fencing support. I would be happy to be a beta-tester and/or provide feedback on such new feature.